Hope can be a dangerous thing. It speaks to our discontent and where we wish we had “more” in our Lives. BUT, it also speaks to waiting for a “white knight rescue” which rarely ever happens. 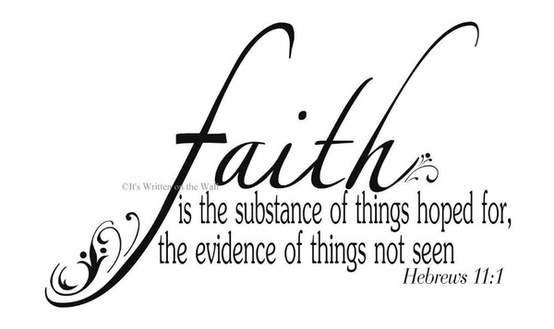 Faith and Hope are foes because Faith speaks to ACTION! Even if that ACTION is quiet contemplation. What more do you need to contemplate right now? Yes, it ALL depends on YOU only. You do not want to meet Hope, you want to meet Faith. Hope is just out of reach. Faith is Always with you. Hope likes to keep you waiting. Faith is Infinite. Hope says you’re not worthy, or beautiful, or lovable. Faith says you’re worthy of all that and more. Hope convinces you to repeat your “mistakes”. Faith Inspires you to Live it…ALL of it. Hope lies. Faith Trusts. Hope asks you to be “of the world” and take it personally. Faith asks you to be “in the world but not of it”. Hope bargains and begs and borrows and steals. Faith Accepts. Hope is FULL of conditions. Faith is Unconditional other than “first do no harm”. Hope says maybe. Faith says YES! Hope says “trust me”. Faith says “Trust yourSELF”. Hope leads to despair. Faith leads to EnLightenment.